Yesterday was the 20th birthday of DOOM, the computer game which meant a paradigm shift to me way back when I got my hands on it. It was 1993 and I worked at a CAD/CAM company with a Novell network (IPX protocolled, this was before the time of TCP/IP even). 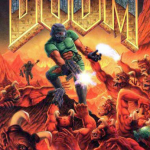 A collegue of mine had downloaded the shareware version of DOOM from a bulletin board and found out that it had multiplayer capabilities and could be played on an IPX network – like our company network. One-on-one play was also possible using direct modem connection (yes, this was before the advent of the public Internet) but IPX network setup meant 4-player deatchmatch. Nobody had ever played a 3D game on a network (Multi User Dungeons and the like are quite different) so this was exciting stuff. I wish I had gone ehard doing that… even though playing deathmatch was an ABSOLUTELY FANTASTIC experience. What happened? 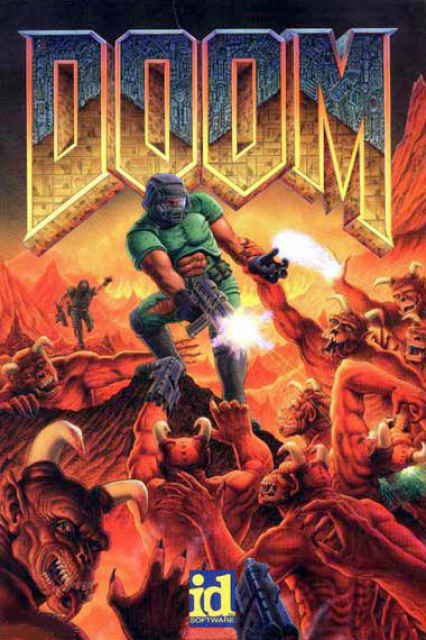 The first version of shareware DOOM had a serious flaw in the IPX network play, it used broadcast packets to communicate among the players of the game. Once we got a couple of foursomes playing the game, the network came to a complete standstill because of all the broadcast traffic. DOOM was so much different, it caused an adrenaline rush and we all got hooked at work. We had to declare our lunch breaks as exclusive frag time so that we could still get some work done in the remaining hours. DOOM’s IPX based network play was limited to isolated LANs because John Carmack was new to IPX, but we actually managed to battle our collegues in another office 100 kilometers away after I learnt enough of the IPX protocol to modify the ipxsetup source code and add routing capabilities (even then, idsoftware was ahead of everyone else in the field, not just by being the first company to give away parts of their game for free as “shareware” but also by making the source code of their network setup program available). Yes, those are some of my first USENET posts way back in 1995 and 1996 when we had finally had our own Internet subscription at work (connecting through a 1200 baud Hayes Smartmodem). But, we kept getting stuck at a particular spot in the game and we did not know how to advance. There was no Internet remember… no Google to search for walkthroughs. So I decided to upgrade the computer with extra RAM and a soud card. The first time I started DOOM after the sound card was installed, somewhere late at night in a darkened room, and some IMPs raised their gruesome voices, the hair on my head stood on end and I had goosebumps all over. This was scary stuff, o wow! It was my first truely immersive experience in computer gaming – 3D and sound. It defined my taste for computer games, and I still care for “idgames” style of shooters more than anything else. And having the sounds meant we finally could progress in the game, because we heard a distant door open and close again, and we knew than that we had to run for that door. Something which we would not have discovered without a sound card. At that time, I knew the computer industry was going to change. It was a game which made me decide to buy new hardware… that was a first for me. At work where I was the sysadmin I upgraded or replaced computers because the programmers would buy a new compiler or wrote more complex code. Games were not considered as relevant to computing. Hah! A nice read, also called “Memories of Doom” (why did they nick my title!) is up on Kotaku where John Carmack and John Romero (former friends, now bitter rivals) reminisce about their creation. Oh, the good times. Am I an old guy? Yes, that should be obvious by now. But I still play games. On Slackware Linux. Posted: 12 December, 2013 in Games, Me. Fascinating read! Just let me say that I was 39 20 years ago………..I am an old dude for sure. I did play to Doom years ago, even before I get my own PC (and never on a IPX network! :-)) and it’s still one of my favorites, like other id Software games. For those who don’t know much about Doom, id Software and the guys behind that stuff, there is a good book that you can ask for Christmas: “Masters of Doom” by David Kushner (a French translation exists also, “Les maitres du jeu vidéo”). Have you tried Brütal Doom? Brings a whole new freshness to this old game :^D. Works on Linux! RIP AND TEAR HUGE GUTS!!! Good times, indeed. I had my share of LS Larry, too, seldom played Doom. Good pointer to adventure on Slackware, I did not know it existed. Will give it a try. Hah, truly old memories 🙂 The first time i saw Doom was at my friend’s house as I was still stuck with C64 at that time. I can still recall the fascination it gave me. We would pop into his room each day after school just to play it. Amazing article Eric! Thank you for sharing, this reminds me somewhat of my own Doom experience (although I didn’t go through nearly as much networking). This should be re-posted in some kind of Linux magazine, it’s such a beautiful and honest account. Thank you for sharing your experiences with the community!